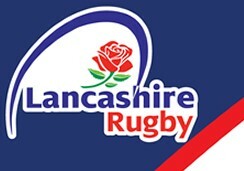 Manchester Rugby Club Mini and Junior Section Announces a New Coaching Bursary to further help develop young talent. MRC M&J is pleased to announce a new scheme at MRC, and another first for our great club. At MRC we are all very proud of our coaching philosophy and approach. We also recognise the need for children to experience different styles and methods of coaching to help them develop. Sale Sharks Community Trust run many different coaching camps throughout the school holidays that are always fun and that help develop the player. Attendees always return to the club better from experiencing a different approach with different players and coaches. Many parents already send their children to these camps but not all get the opportunity to attend and MRC M&J wants to help open up these camps to more of our members. With this in mind the M&J section has set aside a pot of money (£500 from of our sponsors GoFor finance) and set up a bursary scheme for children, who would usually not be so fortunate, to attend Sale Sharks camps. Age Group leaders are able to nominate players from their age group to receive the gift from the Bursary to attend a camp. The only qualification is being a Manchester Rugby Club M&J member. Sale Sharks Community Trust are in full support of the scheme and are very pleased MRC are putting aside funds to further help with player development.  Peter Batten We are saddened to hear of the passing of Peter Batten, a committed member of our club for many years. Senior Fixtures 2018/19 Are Up!  The fixtures for our First XV, Ladies, 2nd XV, 3rd XV and MAKOS Colts are all on the website now.